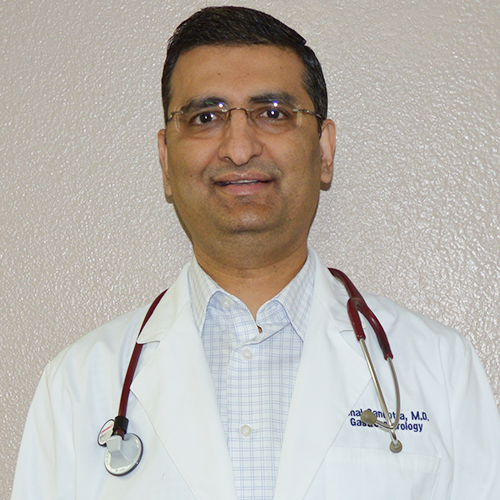 Dr. Vishal Gandotra is a board certified gastroenterologist with 15 plus years of experience. He is affiliated with many local hospitals and surgery centers. He has an excellent academic record. He was ranked 41 st in all India Medical Entrance Examination which was taken by 5500 candidates. He was ranked first in his home state and was selected in the prestigious Panjab University Medical School in India. He consistently was in the top three of his class. Subsequently he immigrated to the United States for higher education. He did his Internal medicine residency and gastroenterology fellowship in the top ranked UMDNJ in New Jersey. He was voted the Best Intern in his residency program. Dr. Gandotra was selected for the only gastroenterology fellowship position for which 400 plus candidates from all over the United States applied. He was involved in multiple research projects during his fellowship. Dr. Gandotra moved to Las Vegas and has been in private practice since 2003. To this date, he has successfully performed more than 30,000 endoscopic procedures. His procedure complication rate is below national average. Dr. Gandotra also has keen interest in quality measures for gastrointestinal procedures. He has a polyp detection rate of 35% which is higher than the national standard of 20-25%. Dr. Gandotra’s rate of colonoscopy completion is 96% which is higher than the national standard of 90%. These measures are logged in on a monthly basis; both of these measures are approved as the indicators of excellence by national gastroenterology societies. 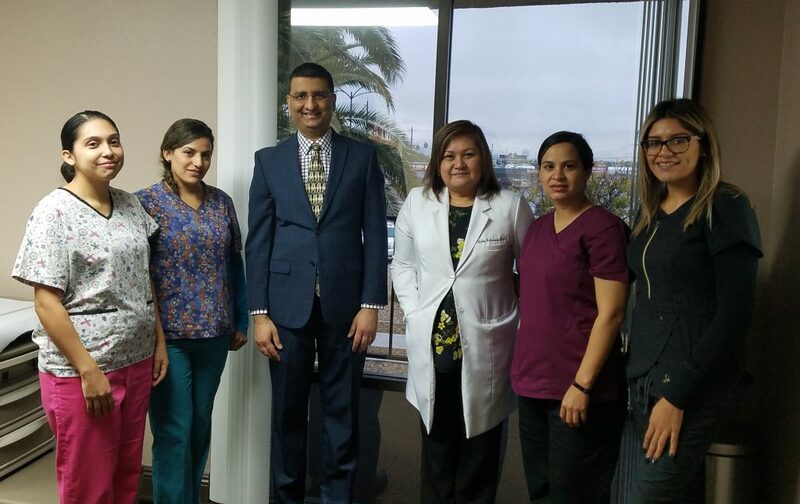 Dr. Gandotra uses the latest, high definition and state of the art Olympus video equipment equipped with advanced Dual Focus optical system and Narrow Band Imaging. Dr. Gandotra has been voted top gastroenterologist by Vitals.com last five years in a row. His motto is to treat patients as his family and keep them well informed. He is fluent in Hindi, Punjabi, Urdu and medical Spanish. In his spare time, he enjoys Yoga, meditation and spending time with his wife and two daughters. 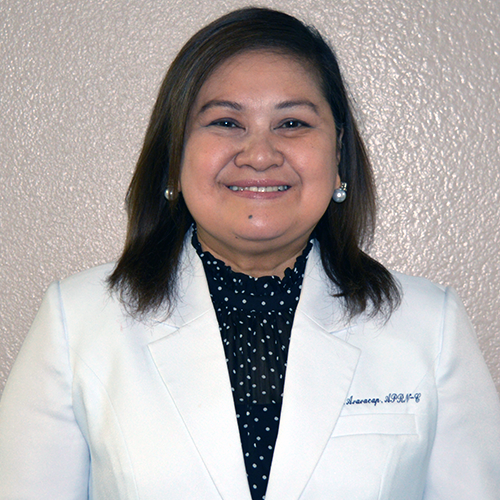 Thelma Araracap is a highly motivated board certified nurse practitioner with the American Academy of Nurse Practitioners. She began her career in the medical field when she graduated with a Doctor of Medicine in the Philippines. She had her residency training in OB-GYN completed i nManila, Philippines and had 10 years of private practice. She came to the United States of America in 2005 and started her career as a registered nurse at Summerlin Hospital for 10 months and became a school nurse while also practicing at University of Nevada Las Vegas in 2008 and has since practiced in the primary and retail clinic setting. She also has experience in the urgent care and home assessment settings. She joined Dr.Vishal Gandotra’s practice in early 2017. She presently provides evaluation and management of gastrointestinal disorders in the outpatient setting. Thelma is a multi-task individual who is able to make independent decisions. She strives to provide comprehensive and compassionate care to all her patients. Thelma spends most of her time with her children and husband. She has been married for 25 years. She enjoys cooking and trying new recipes from different cultures. She also enjoys travelling to new vacation spots with her family.